: JOB PROFILE Position: Business Development Manager Location: Mumbai Industry: Warehousing & Supply Chain Job Grade: Salary CTC 8- 10 L Requirements: Ø Excellent Communication and negotiation skills. Ø Strong Relationship building skills. Ø Business and financial acumen. Ø Strong leadership skills to inspire and motivate. Ø Sense of urgency and result orientation. Ø Good understanding of information technology, warehousing practices and marketing. 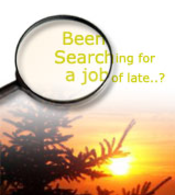 Ø Minimum 5 years + experience within related industry and team management function. ROLES & RESPONSIBILITIES · Marketing & selling of personal warehousing services to existing and new clients. · Meeting and exceeding revenue targets and providing after-sales support/feedback. · Forming alliances/franchises with warehouse owners, 3 PLs, packers/movers for service delivery. · Maintaining quality of service and improving the same through audits at warehouses. · Provide business requirements to the software development & maintenance teams and accept system upgrades after testing. · Lead service innovations based on customer feedback and industry good practices. · Regular evaluation and feedback sessions with business partners including warehouse owners. · Ensure safety and compliance in operations and continuous improvement. Specific Responsibilities: Grow the operation in existing markets and prepare to enter new markets 1. Create and update the 6 months, 1 year, 3 year business plan for the personal storage business. 2. Continuously review the market for new business opportunities and activities, generate profitable business prepositions and execute the same. 3. Develop and conduct customer satisfaction surveys at regular intervals and ensure corrective action based on the customer feedback. 4. Keep track of competitor’s activities, new business plans and customers also strategies for business expansion & update the founders. 5. Empanel warehouse owners, 3 PLs for delivery of the service and train their staff. 6. Develop and deliver quality user experience to the customer and warehouse owners/business partners. 7. Development & dissemination of relevant promotion material identify and coordinate cross selling opportunities. 8. Deliver on revenue and profit targets as per mutually-agreed projections and build the team for growth and expansion of the business. 9. Plan and execute entry of the business into new, markets (cities). Operational excellence and continuous improvement 1. Ensure updating of SOPs and creation of template for franchisee/empanelled service providers. 2. Regular review with business partners, mutual evaluation and feedback. 3. Implement process excellence techniques eg: six sigma, lean, quality management to ensure a consistent customer experience. 4. Review and update of the technology platform including payment gateways. Team building and performance review 1. Build an impactful own/outsourced commercial and operations team, capable of operating independently through setting clear and measurable targets and appropriate level of empowerment. 2. Monitor and performance feedback to the team. 3. Update financial MIS with support from accounts staff and prepare plan versus actual in relation to the signed off budget. 4. Review with founders/directors and follow up on discussion on MIS and expansion plans.